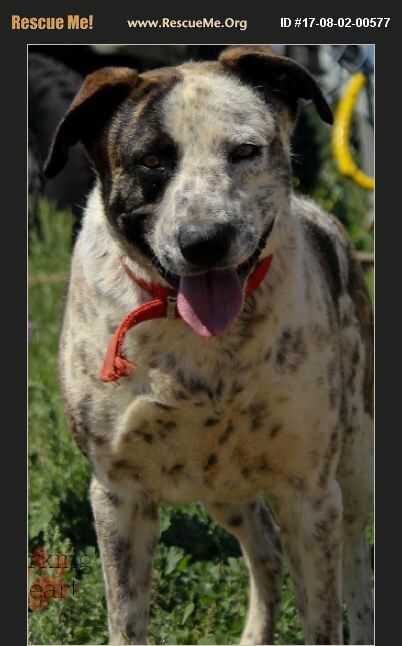 Colorado Catahoula Rescue View other Catahoulas for adoption. Hal came to us abandoned after being hit by a car in Texas. He had surgery to repair his leg and pelvis and is now healed from the injuries. Kind dog who loves people. He loves people and dogs his size or larger. No little dogs or cats. He is walking and recovering. Swim therapy would really help. He had this procedure (FHO) done in December. http://www.topdoghealth.com/library/orthopedic-surgery/articles-surgery/femoral-head-osteotomy-fho-dogs/ Adoption application/animal interest form must be completed to be considered for any animals. Colorado Residents preferred. Adoption fees may vary. Usual adoption donation is $300-400 to support our veterinary appointments, spay/neuter, vaccinations, and microchip costs. Varied lower fees for older dogs or special needs, more for purebred and/or registered dogs. We do not guarantee behavior, temperament, or suitability for any special purpose. There are adoption fees, forms, references, and a home check required. See www.bfasfarm.org for more info on our available dogs, cats, horses and other animals. Email bfasfarm@gmail.com for more info. We are all volunteer and non-profit. We count on your donations to continue our work.